I really do like to keep things positive over in this little space of mine but I just needed to share my friends story once again and bring a little more awareness to just how many little girls and boys aren't experiencing their best day ever.. They aren't out playing in the pool or going to the park like most of our little ones.. They aren't even enjoying a nice home cooked meal at night with their entire family. It was shortly after I found out I was bleeding this pregnancy and thought I was miscarrying again when my childhood best friend Tosha texted me and asked if I would do her a favor and re-update Taleah's Blog since she would be back to posting updates-- Her 5 year old daughter just relapsed from cancer. I was soo so glad she texted me because it not only took my mind off of things and gave me a new project just when I needed it... but it was also a huge slap in the face -- this little bleeding even if it leads to another miscarriage is not the end of the world.. there she is (Tosha) fighting for her daughters life TWICE and dropping her entire life for it.. I just had to be thankful for what I had in that moment. "As Tosha Stevenson pulls the family minivan into the garage of her St. George home, a sticker on the rear window bears the phrase that has come to define their family, their friends and even strangers in the community for the last several years. Together for Taleah. After battling Acute Lymphoblastic Leukemia for nearly three years, things were finally looking up for 5-year-old Taleah Stevenson and her family. Wrapping up roughly 2 ½ years of chemotherapy treatments on Halloween of last year, it seemed, for a moment, that life in the Stevenson household was about to regain some semblance of normalcy. Taleah's little body seemed to be responding to the treatment, her thick, dark curls returned to her head and she and her younger brother, Slade, welcomed twin babies into their family – a brother, Sloan, and sister, Tait. Then on March 25 doctors confirmed what Taleah's family had prayed they wouldn't hear. She had relapsed. The news, though overwhelming, was not entirely surprising to Tosha. Call it inspiration or mother's intuition, Tosha said she just knew something wasn't quite right in the weeks leading up to Taleah's relapse. Her labs were off and she had a fever, all of which made Tosha uneasy going into the checkup. Taleah was devastated by the news. "She's had a lot of anxiety," said Trisha Orr, Tosha's mother. "She's old enough, she knows the road." With cancer rearing its ugly head once more, it was clear that a new path of treatment would be necessary since the chemotherapy hadn't done the job. This time, a bone marrow transplant is the goal. After testing each of Taleah's siblings and knowing there was only a 25 percent chance that one of them would be a match, it seemed the odds were finally turning in Taleah's favor when the results came back. Her baby sister, Tait, is a match. While Taleah plays on the floor with the babies in her home last Monday, Tosha recalled the fact that she had always planned to have three children, so when the twins came as numbers three and four, it was a bit of a surprise. "Obviously it was for a reason," she said. "We're very lucky that she (Tait) is a match." Ask any young mother of twins and they'll likely tell you the workload can be overwhelming. Add to that a 3-year-old son and a 5-year-old daughter whose cancer feels like a full time job and clearly something has to give. All along, Tosha's and her husband, Scott's, families and friends have rallied around them, offering support, encouragement, financial assistance, childcare and more. "Everyone's just kind of put their lives on hold for us," Tosha said. "I feel horrible that they're doing it again but I'm really, really grateful because it's made a huge difference." One example is Tosha's sister, Tavia Orr, who was serving a mission for The Church of Jesus Christ of Latter-day Saints in Nicaragua until she had to come home to have foot surgery in January. She was still home recovering when Taleah relapsed. Now she spends her days helping her sister care for her family, taking Taleah on at-home "dates" when Taleah is too sick to leave the house, helping with the twins and Slade and doing everything she can to ease the burden her sister's family has to bear. "We're a really close family," Tavia said as she unloads the twins from their infant carriers and sets them down to play. "Sisters make the best friends, that's for sure." Trisha said the family really feels that this is Tavia's mission now, to help Taleah and her family through the bone marrow transplant. "She's just been crucial (during) this whole relapse," Trisha said. "She has made our burden so much lighter." Prepping for a June 10 June 16 (which is also Tosha/the moms birthday) bone marrow transplant which means Taleah's head is once again bare, her body is once again being treated with chemotherapy and her life is once again divided between treatments at Primary Children's Medical Center in Salt Lake City and occasional visits home. As they did with the chemotherapy treatments following Taleah's initial diagnosis, Trisha, as well as Tosha's mother-in-law, Sandee Stevenson, will continue to split their time, going up and staying in Salt Lake to help Tosha with the twins while Scott stays home to work and take care of Slade, traveling up to visit on the weekends. Once the bone marrow transplant is complete, Taleah will have to stay in Salt Lake for 100 days. Although watching Taleah go through the anguish of chemotherapy and now the upcoming pain of the bone marrow transplant is extremely difficult, Trisha said she and others in the family have learned to keep their emotions in check when Taleah is in the room because seeing people cry gives her anxiety. So whenever Taleah has to be sedated for treatment, Trisha uses that time to walk the halls of Primary Children's, crying for her granddaughter's, and her daughter's, pain. "It's so hard to watch my baby girl hurt so much while she (is) taking care of her baby girl," Trisha said. While Taleah prepares for the bone marrow transplant at Primary Children's in early June, the community is invited to show their financial and moral support by participating in a Princess Run for Taleah on June 7 at Desert Hills High School. Coordinated under the Millie's Princess Foundation which uses the tagline, "because cancer is a royal pain," participants are invited to take part in a 5K run or just enjoy the carnival-style event featuring balloon animals, face painting, a climbing wall, food vendors, visiting princesses, a silent auction and more. "I have lots of good people helping me," said Dani Prince, coordinator for the event. Prince's desire to support Taleah stems from the fact that her son, Chase, was diagnosed with the same cancer as Taleah, in fact the two finished their treatments at the same time. For now, Chase is still in remission. "It gives Taleah hope, I think, to know that people are supporting her," Prince said. Although the event is ultimately about raising money to offset some of the medical expenses Taleah's procedure will incur, much of the focus of Millie's Princess Foundation is about rallying around these tiny cancer warriors, offering them hope while raising awareness and funds. "It's such a mental fight," Prince said of the journey she knows firsthand. Though the road to post-transplant recovery is long, Tosha said she finally feels like there is an end in sight. "I'm trying to look at the end and know it won't be like this forever, hopefully," Tosha said. "This is, if everything goes according to plan." Taleah is anxious to fill her life with all the things the other kids her age get to do, such as attend kindergarten, go swimming or play with a friend without worrying about her immune system levels that day. In the meantime her family continues to pray that, as 3-year-old Slade says, "bless Tia will beat cancer." "Anybody would do what we're doing in our situation," Trisha said of the support she continues to give. "You have to. 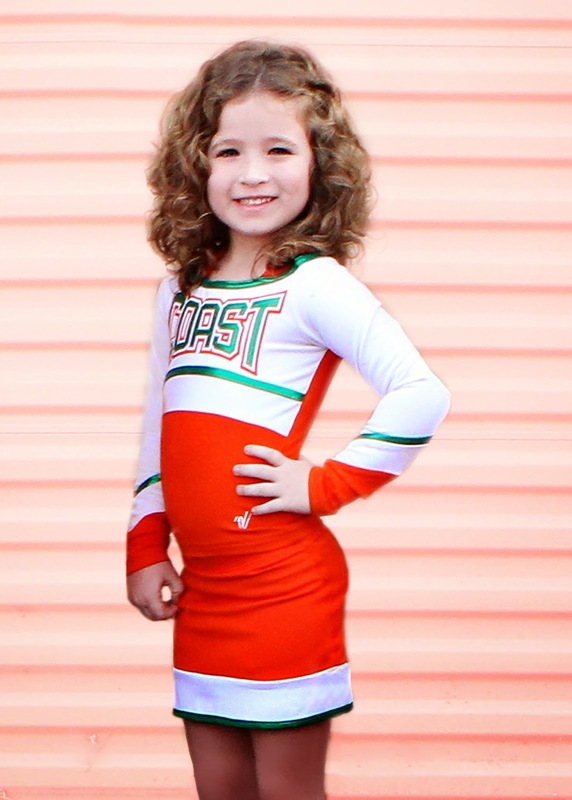 There is a 5-year-old who has cancer… we have to have the best attitudes and fight for everything so she will too." or register for the 5K on Active.com. Read more about Taleah's journey on the family's blog at www.togetherfortaleah.blogspot.com. • When: Saturday, June 7. Registration begins at 7 a.m. Race at 8 a.m. Carnival and auction at 9 a.m.
Once Taleah has her bone marrow transplant (June 16) she will recover in the hospital for a bit, but then they will release her with the instructions that she is not to leave Salt Lake for 100 days. And the quality of housing she has to find has to be up to par with a bone marrow patient. (super clean) Again, another situation that will take lots of adjustment. If you know of anywhere for this family (mom, dad, & 4 kids under 5) to stay let me know it would be in the Salt Lake City, UT area -no more than 30-40 miles away from PCMC during the months of July, Aug, & a little of September. They are in the middle of renovations and have only a shared kitchen -- sadly they with how strict they are on cleanliness from the bone marrow transplant they can't afford to chance it with a shared kitchen. Thanks though! So sorry for your family. Have you looked at your insurance to see if they would help cover a private hotel room with kitchen? A blog I like to read on Facebook is our little taste of heaven and her daughter had a BMT and had to stay near the hospital too. They had their insurance cover the room. You may be able to contact her and get some information. Prayers to your family. I will pass this information over to Tosha and see, thank you!! My daughter is a patient at PCH. I asked this question in our heart support group. One lady posted " I live on the hill right by PCMC and my neighborhood is filled with M-I-L apartments that might work for you. I can put the word out and see if there is availability and cost. I know the neighbors across the street from me have a family living with them whose daughter is battling cancer and has to be close to PCMC. Let me know if you want me to put the word out." Please let me know if I can help!! yes thank you that would be nice, I think they are trying to have a somewhat of a home or 3 bedroom to accommodate the family, and are trying to stay away from and shared spaces since they will be under strict cleanliness (not sure the best way to word that) Thank you so much for your help, every little bit helps this family!